I am sharing a review of my book, Deception, from LitWorld Interviews. If you would like to purchase a copy of Deception, please click on the pic. Thank you. Lance Greenfield gives his opinion on Deception which is available from the Amazon website. Amanda returns to her native Harare on a work assignment. She tries to unravel some family mysteries which led to her self-imposed exile. Every stone she turns reveals a new, usually unpleasant, surprise. She is torn between her former lover and her current almost-a-lover. She doesn’t know whom she should trust, including members of her own family. There are many tests, and the tension rises. The reader is also torn in several directions. I challenge you to take the journey with Amanda and guess whom she can trust before she takes the right or wrong path. 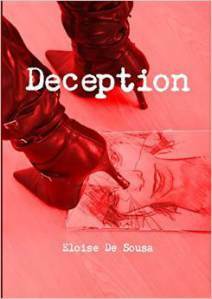 Review of Deception by Colleen Chesebro from Lit World Interviews. A huge thank you to Colleen for taking the time to read my book and review it. To order your copy of Deception, please click on the link below. Amanda opened her eyes to a brilliant sunny day with the birds singing outside her window and a gentle breeze blowing the curtains in a seductive dance. She stretched out her arms and yawned, feeling the sleepiness shrug off her body and a lovely tug of hunger making her tummy rumble. Hmm, some breakfast and maybe a long hot shower and wash her hair. She picked at strands of her long wavy brown curls and sniffed them. Definitely a shower! Her hair smelt like burnt cat. Not that she’d ever smelt a burnt cat but could imagine it wouldn’t smell much worse than her hair. Suddenly, the curl withered in her hand and turned to ash, as did her other curls. She spotted her reflection in the mirror opposite the bed and watched as her hair disappeared in a puff of ash and smoke. She screamed as the rest of her head caught fire and watched in terror and fascination as the flames licked away at her bald scalp. 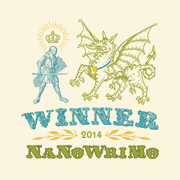 Panic filled every pore and drowned out her shrieks whilst the fire swallowed her nightdress, engulfing her body. Heat tugged at her, pulling her body as though she was a rag doll.